View More In English as a Second Language. This new title in the illustrated Let’s Read! language-learning series is a real page-turner! 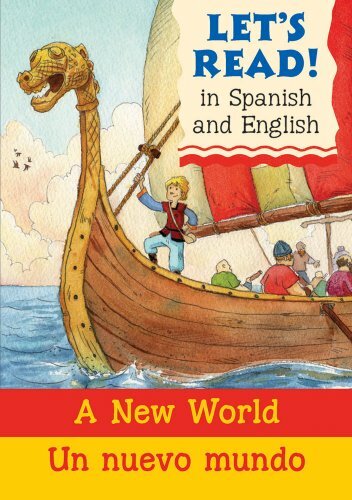 It’s written in a bilingual Spanish and English format, which encourages boys and girls who are independent readers in their own language to begin learning a second language. All Let’s Read books present original stories of action and adventure geared to young readers’ interests. Meanwhile, kids begin to learn a new language, compare it with their own, and start out on a path toward bilingual fluency. As they read, children discover that they don’t need to learn every single new word that they encounter in the second language. As unfamiliar words appear and reappear in the story’s context, they will pick up meanings effortlessly, just as they pick up and understand new words in their own language. The parallel text, illustrations, and dialogue balloons on every page give kids a child-friendly bridge to reading and speaking in a second language. Let’s Read books are available in both French/English and Spanish/English editions.